CES is one of the most multifaceted tech events around. Throughout the week, the event showcases everything from augmented reality to fitness technology and even robotics. However, just because CES isn’t totally video game-focused like E3 doesn’t mean that there’s a lack of gaming or VR experiences. After all, Microsoft unveiled the Xbox at CES… with Dwayne “The Rock” Johnson there to present. What a strange world we live in. 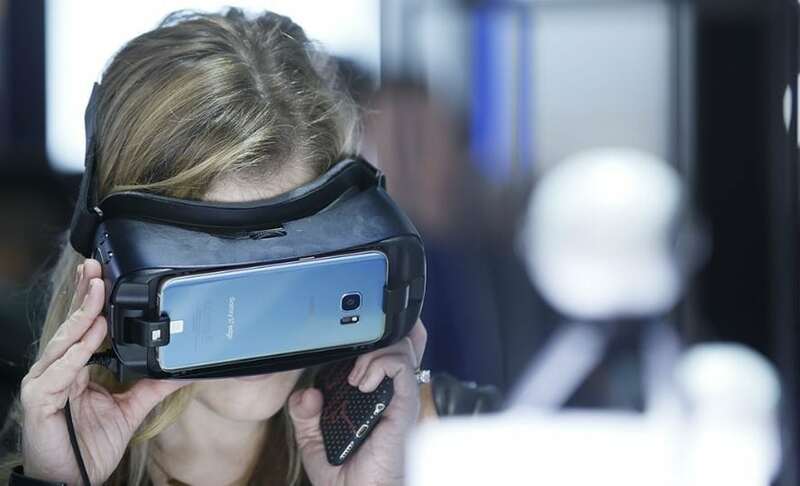 Well, considering you’ll probably want some fun and relaxation among all the hustle and bustle, let’s take a look at everything in the Gaming & Virtual Reality Marketplace you need to experience at CES 2018. While not always tied to gaming, there’s no doubt that virtual reality has grown exponentially over the past few years. This year’s CES is a great example of that growth, with Royole (best known for their unique Royole Moon theater experience) making an appearance, Carl Zeiss showing off their VR headsets, and Kodak Pixpro showcasing their innovative 360-degree cameras. Robots! I’m pretty sure I just could have left it at that. But, to be more specific, Sphero will be at the Gaming & Virtual Reality Marketplace, and they literally make droids. Sphero offers fully controllable replications of BB-8, R2-D2, and BB-9E, a droid I’m not familiar with because I’m too lazy to actually get to the theater and watch new Star Wars movies. Needless to say, their booth will definitely be worth stopping by because, you know, robots. What would the world of gaming look like without a healthy dose of hardware, novelty items, and video game-themed versions of Monopoly? Well, I don’t want to know what that world would look like. Thankfully, Innex Inc. is making an appearance at CES to provide some of their offerings, such as retro consoles like the Sega Genesis Flashback, accessories such as the 3DS Crystal Armor Case, and even more casual offerings such as Pac-Man candy tins. What will Innex be showing off at CES this year? You’ll have to swing by their booth and find out. Innovation & Tech Today is an official media partner at CES! Make sure to keep up with all our coverage on Facebook, Twitter, and Instagram. Additionally, make sure to subscribe to our YouTube channel to check out all our CES videos, along with episodes of InnoTech Arcade and QuickBytes.